One of the more interesting highlights of the report is that whistleblowers, geographically speaking, come from everywhere. In FY 2015, every U.S. state and 61 foreign countries contained people who submitted tips. 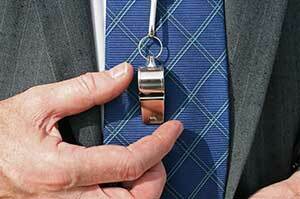 The international growth of the whistleblower program is especially noteworthy. Another point, one that might surprise you, is that whistleblowers are not necessarily corporate insiders. Fewer than half of all tips came from insiders. Instead, the majority of tipsters were often either victimized investors or those who knew the alleged wrongdoer personally. Even more unexpected is that nearly 80 percent of all whistleblowers either went through internal channels or had supervisors who knew of their concerns before telling the SEC. It’s possible the percentage is so high because of the protections afforded to whistleblowers. Those with tips are protected if they report what they know internally, even if they do not report what they know to the SEC. Also highlighted in the report is the greater effort to make whistleblowers feel safe when sharing tips with the SEC. On April 1, 2015, under Exchange Act Rule 21F-17(a), the first enforcement action against a company was undertaken against a Houston, TX, corporation, KBR, Inc. The Rule clearly states that confidentiality agreements cannot be used to prevent or obstruct whistleblowers from reporting to the SEC. In this case, however, witnesses in certain KBR internal investigations were required to sign confidentiality agreements, warning them of termination if they discussed internal matters with outside parties without receiving express approval to do so. In FY 2015, roughly $37 million was paid to whistleblowers. Tips are considered actionable if they result in monetary sanctions of more than $1 million. Under Dodd-Frank, a whistleblower can receive anywhere from 10 to 30 percent of the monetary amounts collected. The amount awarded is solely up to the SEC. Since the program went into effect in August, 2011, the SEC has paid out over $54 million in awards to 22 whistleblowers.